Wire harness assemblies are an essential part of almost every kind of project, from home renovations to airplane engines. They perform an extremely important function and can come in a multitude of different shapes and sizes, so many people are unsure as to what these little contraptions can do. Today, we decided to use the five Ws and one H to answer the basic questions that people have about wire harness assemblies. Here’s all the most important, basic information about wire harness assemblies. Simply put, a wire harness assembly is a box that keeps wires together. It can be as basic as two wires with basic terminals on the end, all the way up to a complex web of cables, wires, terminations, and conductors. Who Can Use Wire Harness Assemblies? Almost anyone, but wire harness assemblies should be installed at the discretion of trained and certified professionals. Only the people with the right training can safely connect and navigate the assembly and wires, so be sure to contact the right people about your project, and listen to them when they talk about where and when wire harness assemblies should be installed; the discretion of trained and certified professionals should be used. Where are Wire Harness Assemblies Used? Almost anywhere! Motors, home renovation projects, and more—all of these applications use wire harness assemblies regularly. When Should Wire Harness Assemblies Be Installed? 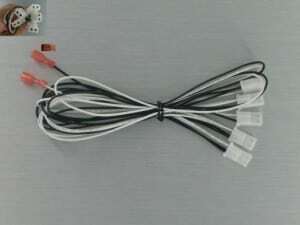 Wire harness assemblies are often used in most projects that contain wires and cables. The major reason is that cables and wires are difficult to organize and keep straight, but a wire harness assembly can keep things better organized and help the project run more smoothly. Why are Wire Harness Assemblies so Important? A wire harness assembly performs two very important functions for almost any project in which they are used. First, they help keep all the wires and cables organized and pointing the right direction. In the case of very complex machinery, like an engine or supercomputer, keeping the many different cables all organized is extremely important. “Crossing” the wrong wires could fry the entire system, so knowing which wire is which can help keep things run smoothly. Along these same lines, wire harness assemblies are almost like a universal language amongst professionals, so if an electrician installs a wire harness assembly in a project and a different electrician comes by later, they will know what’s going on. The second reason why wire harness assemblies are so important is because they keep cables and wires safe. In some environments where things can get very hot or very cold, the right wire harness assembly will keep the contents inside safe. This also includes reducing rubbing and friction that can harm important cables and wires. How Can I Find the Right Wire Harness Assembly for My Project? By contacting Meridian Cable. We specialize in wire harness assemblies for almost every kind of job out there. We can build custom products that meet your exact specifications, or you can choose from our large selection of pre-made merchandise.